Breathe new life into any J-style Bass by replacing the pickups with a DiMarzio® Model J™ Pre-wired Replacement Pickup Set. The set includes a chrome J Bass control plate, DiMarzio® Model J™ pickups, knobs and a complete wiring harness featuring solderless installation. The Model J™ pickups reproduce the warmth and roundness of the traditional Fender® Jazz Bass® sound with increased power and hum-cancellation. The additional power translates into a bigger sound that emphasizes the resonant character of the instrument. 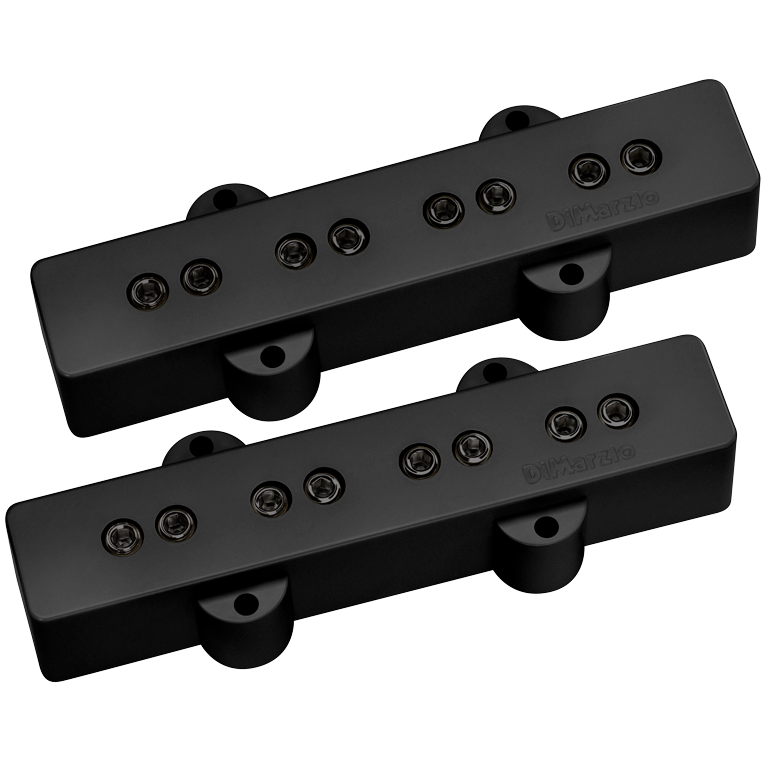 The pickup's sensitivity and deep tone are also the perfect complement to fretless basses. Double-stop glissandos and delicate violin-style vibrato speak with a classic, woody voice simply by backing off slightly on the tone control.